My interview with Sonar 4 tonight, for those who didn’t get the chance to check it out live. Lori Titus and Tonia Brown did a great job and it was a lot of fun talking about Comes The Dark, some of my short stories, and the absolutely horrendous book I wrote back in high school that remains locked away forever. Another anthology that I will be appearing in, this one filled with superheroes and villains, will be coming out later this year. The cover art was just released and I am thrilled with it. I am excited about being involved in this one, as it gave me a chance to stretch my wings and write in a completely different genre. 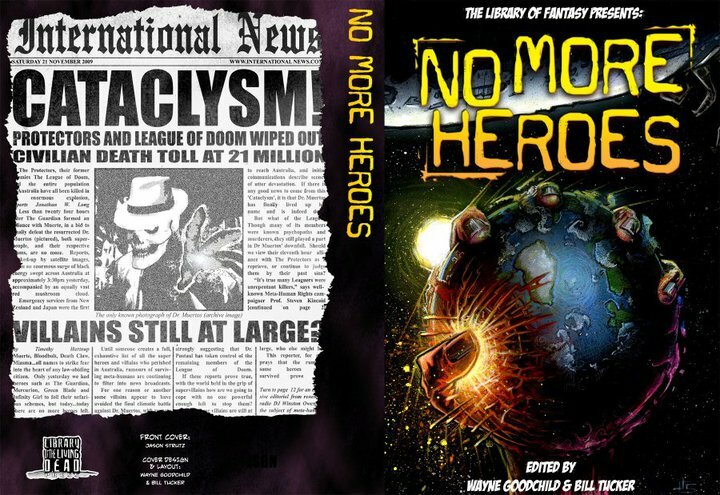 My hope is that this anthology will do well so that there is an opportunity to continue some of the stories that have been developed with this new world of good and evil. So check out this cover. This one is going to be cool!